An amazing batch of sophisticated soul tracks – and a favorite with the righteous groove scene! On the surface, the record's a combination of jazz and soul tracks in the same mode that you'd find on some of Nancy Wilson's albums for Capitol during the same time – but digging deeper, you'll find an undercurrent of politics, feminism, and social commentary delivered with surprising intensity. 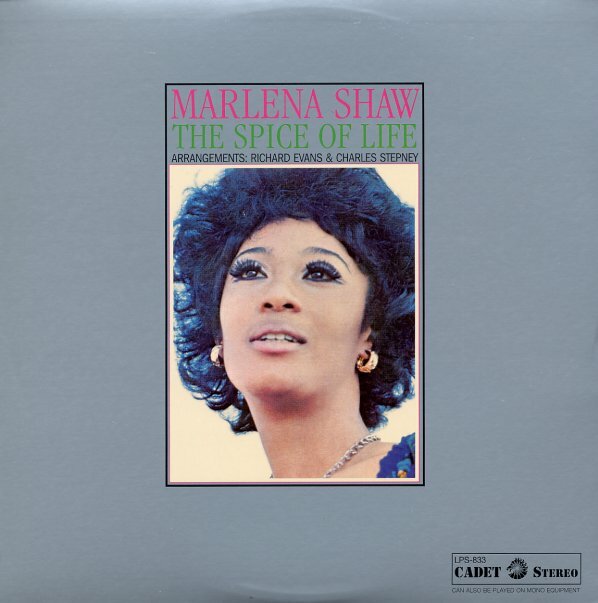 Marlena Shaw's voice is generally sweet, but she's set up in some extremely powerful arrangements by Richard Evans and Charles Stepney that recast even the simplest phrase into a whole new setting of strength and pride – and Bobby Miller of Dells fame also helped make the record what it is, and helped write some of the best songs on the record. The set includes Marlena's classic original reading of "Woman Of The Ghetto", which has been sampled by just about everyone, plus "California Soul", which has a nice hard break, and the tunes "Liberation Conversation", "Where Can I Go? ", and the original version of "Go Away Little Boy" – as sweet a statement of womanhood if there ever was one! © 1996-2019, Dusty Groove, Inc.